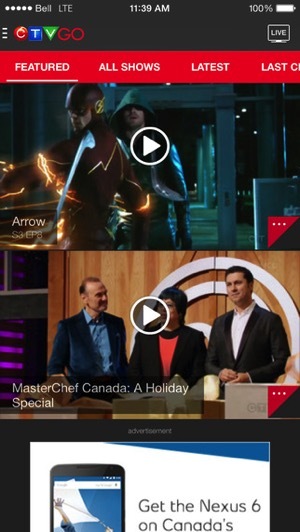 CTV GO has added Rogers Communications, Access Communications, Cable Cable, Nexicom, and Northwestel subscribers to its list of new partners able to view live streaming TV and on-demand shows, over Wi-Fi and cellular networks. The addition of these four new partners joins Bell Fibe, Bell TV, Bell Aliant FibreOP TV, Northerntel FibreOP, Shaw Cable, Shaw Direct, Telus Optik TV, and Eastlink subscribers, bringing the service to over 8 million Canadian homes and 90% of English TV subscribers. 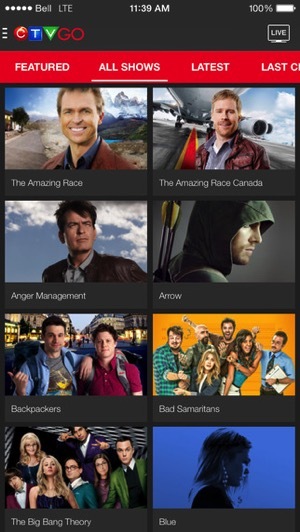 A week ago CTV announced it was the first Canadian broadcaster to bring official support for Google’s Chromecast.